It seems establishment is afraid of seeing a mindset of change in many people of Pakistan especially educated youth. They have now resurrected their old products to fight against any possible change in status-quo. 2-10 Party alliance or IJI-2:http: PML-F, PML-N, Jamat e Islami, Jamiat Ulema e Islam-Fazal (JUI-F), Jamiat Ulema e Pakistan (JUP) and others. Islami Jamhoori Ittehad (IJI) was formed by ISI in 1988 to counter PPP under Benazir Bhutto and now it seems they have again formed it to counter the rising power of Pakistan Tehreek e Insaf. Leaders of JI and PML-N call it an alliance against PPP and MQM but we know PPP and MQM are already part of establishment’s other gang i.e. NRO gang launched by former dictator General (R) Musharraf. Lets see if people can call this bluff from IJI-2 parties who are trying to hijack the momentum of change like Tahir al Qadri tried or Musharraf tried in his second failed coming. Establishment always find it easy to deal with old status-quo parties and groups like NRO gang, MMAs or IJIs but they cannot see a genuine force of change like PTI to come in power because someone like Imran Khan can neither be bought nor he can be cornered or pressurized as he doesn’t have a record full of political and financial corruption. KARACHI: The meeting of Pakistan Mulsim League-F-led ten-party alliance has still not been held, Geo News reported Wed. 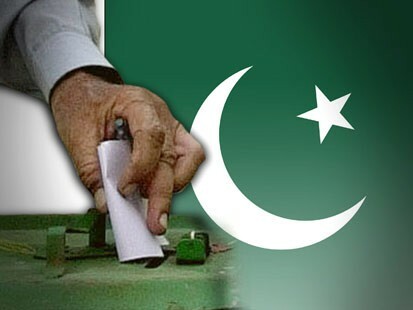 According to details, the parties were to reach finalize matters relating to seat adjustments for National and Provincial assemblies’ constituencies of Karachi after holding consultations. The meeting of 10-party alliance called by PML-F was to be attended by Pakistan Muslim League-Nawaz (PML-N), Jamat e Islami (JI), Jamiat Ulema e Islam-Fazal (JUI-F), Jamiat Ulema e Pakistan (JUP) and others. According to sources, the provincial meeting of 10-party alliance suffered a delay due to internal conflicts in PML-N. The leader of PML-N Shahbaz Sharif is in Karachi and trying to fix conflicts between the party’s Karachi and provincial chapters in connection with distribution of tickets. President of PML-N Karachi Nehal Hashmi had submitted his nomination papers for NA-251, while the party’s provincial leadership has made a seat adjustment for the same with JI. Just heard a sad news from Swat. Malala Yousafzai, the teenage kid who got national peace prize got seriously injured in a shooting attack. This is sad, really bad and cowardly whoever has done this. It is also bad by the government to use this kid as a symbolic person against militants and expose her to such danger. It is ridiculous that first they used her for political gains in the war and then left her without adequate security. Not only the attackers but the people responsible for her security and exposing her to such danger should be made accountable for this. The way government and some NGOs used Malala as a symbolic warrior is similar to child soldiers used by African war lords to fight their dirty wars. May Allah give her health. SWAT: Malala Yusufzai the National Peace Award winner who came under the global spotlight for her efforts to bring back peace to her hometown Swat came under attack earlier today. Malala Yousafzai was injured along with two other girls when unknown assailants opened fire on her vehicle in Swat, Geo News reported. According to police, Malala a children’s rights activist received two bullets, and was rushed to the District Headquarter Hospital in Saidu Sharif, and later shifted to a hospital in Peshawar. It is important to mention that Malala had been receiving threats to her life, after which she was provided with a special car and unarmed security by her school. The international children’s advocacy group Kids Rights Foundation nominated Malala for the International Children’s Peace Prize, making her the first Pakistani girl nominated for the award. For her courageous and outstanding services for the promotion of peace under extremely hostile conditions in Swat, she was awarded the first National Peace Award by the Pakistani government on 19 December 2011.